Pastor Ela Robertson, who will be ordinated Feb. 3 to churches in Belleville, is pictured with the plains of Mt. Ararat in Armenia during one of her seminary mission trips. BELLEVILLE — Two churches in Belleville are gaining — and sharing — a new pastor. West Kish Presbyterian of Belleville will hold an ordination service for Pastor Ela Robertson at 3 p.m. Sunday at West Kish Presbyterian Church, 3820 Main Street, Belleville. Robertson explained the ordination service confirms God’s call to the pastor to serve as a minister and lead the church. Music and literature were selected for this service to add ties, both personally for Robertson and for the community. “The horn fanfare announcing the procession and opening of the service is played on a 17th century brass coach horn given to me by my father,” she said. Robertson will present an original piece, “The Call,” to honor her new home of Big Valley. “Often used in Thanksgiving services, it is adapted today to acknowledge and honor the ‘first peoples’ of this valley so reminiscent in the names of West ‘Kishacoquillas’ Presbyterian and the ‘Susquehanna’ Synod of Evangelical Lutheran Church in America,” she said. Robertson has also arranged to have Pastor Alan Kauffman of Maple Grove Mennonite Church to lead a foot washing ceremony in an effort to both remind the congregation of Jesus’ service and to recognize the Anabaptist presence in the Brethren, Mennonite and Amish communities. A Quaker friend of Robertson’s, Ken Jacobson, has written music that will be performed by Ken Harper, of McVeytown. Robertson selected these pieces to complement readings during the service. Robertson had been in contact with the Church Leadership Connection since her time in seminary. In June, she attended a national general assembly for the CLC and participated in a workshop for people who were seeking a church. Shortly after, Robertson was asked if she had an interest in applying for a pastoral position for two churches in Belleville, to which she agreed. Robertson said she completed the hiring process, from a phone interview, to in-person interview, to preaching at a church in Altoona, for each West Kish Presbyterian and St. John’s Lutheran churches. The churches had to communicate with each other to agree to hire Robertson as their pastor, with the congregations having the final vote. In July, Robertson came to Belleville for the first time to complete her in-person interview with the churches. Robertson said that though she is the pastor of both Lutheran and Presbyterian churches, each church will maintain its own liturgical style, but share more activities. “I’m very excited and happy to be here,” she said. “My grandparents were fishermen, farmers, railroad men, church leaders, singers, choir directors and band leaders,” Robertson said. Her parents did not fall far from the tree – her mother was a violinist and painter and her father was a symphony conductor and music professor. Every Sunday, Robertson’s family attended services at the First Presbyterian Church in downtown Wichita. Robertson recalled that as a child, she was always interested in nature and God. In fact, she named her first doll Jesus, since she received it on Christmas. Robertson attended two Quaker and Brethren institutions, Earlham School of Religion and Bethany Theological Seminary in Richmond, Indiana. After studying there, Robertson continued her education with Pittsburgh Theological Seminary, focusing on reformed theology, Presbyterian polity and Greek and Hebrew exegesis. Robertson worked part-time during seminary first as a chaplain assistant who led services and visited residents in rehab, hospice and memory care. Next, she pastored a small church for three years, then, as a temporary position, she pastored a large urban church. While in seminary, Robertson had the opportunity to participate in several missional trips. 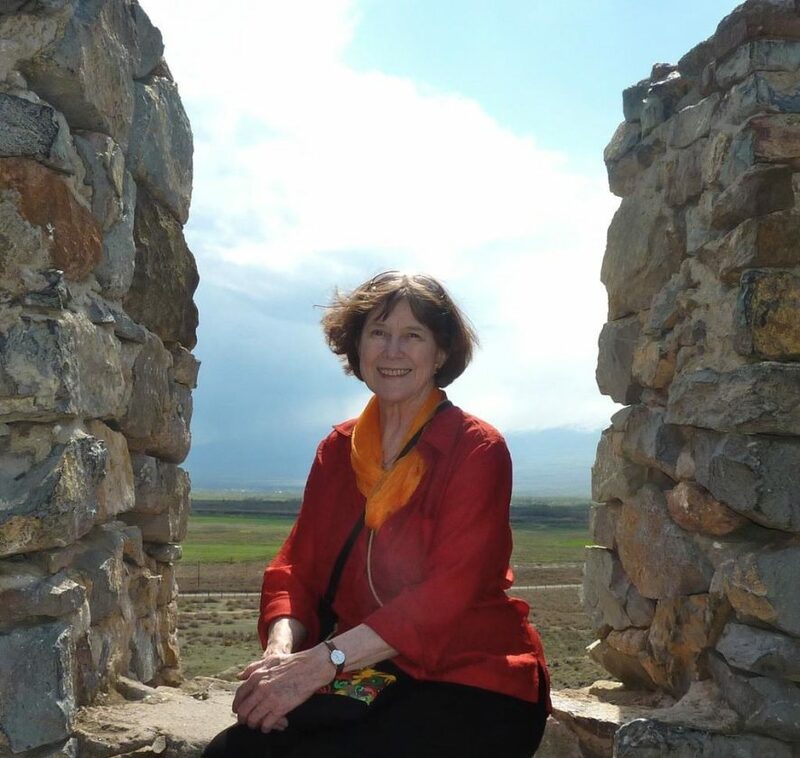 Robertson said she still does special presentation for churches and community groups about her experience in Armenia, along with sacred themes, using music, visual arts and the gospel. Recently, Robertson served on the worship team for the national PCUSA Sabbath Rest Conference at Lake Tahoe, Nevada. The conference hosted music and prayer sessions to offer a place of healing for the refugees. Robertson is married to Bill Cullingford, who was raised in Michigan and England. Cullingford has been a public school teacher, has a conservatory degree in oboe and English horn and crafts violin, cello and bass bows. 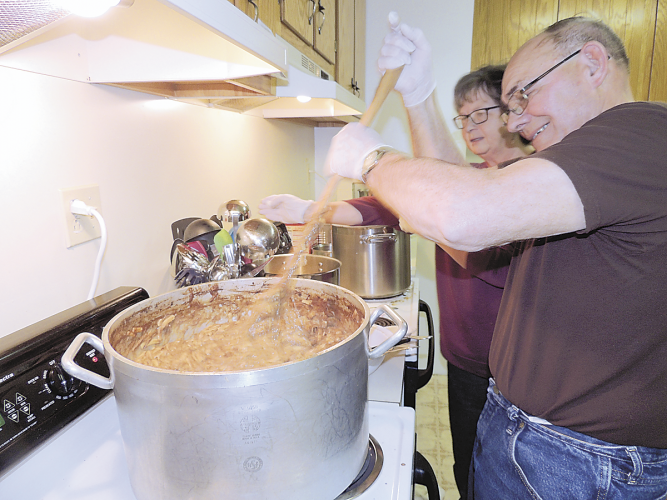 Together, robertson and Cullingford have lived in small town communities since 1998, after living in San Francisco, Calif.
St. John’s Lutheran Church, located at 3597 Main Street, Belleville, holds worship at 9:30 a.m. followed by Sunday school. West Kish Presbyterian Church, located at 3820 Main Street, Belleville, holds Sunday school at 9:30 a.m. followed by worship at 11 a.m.